The story behind the creation of the DeLorean, and the demise of the company that created them is the sort of story that Hollywood really could have picked up and done something with. So in this thirtieth anniversary year of the most famous vehicle for promotion of the DeLorean vehicle – the movies “Back to the Future I, II and III”, its a good opportunity to look at the car, the man behind the car, and the community that built the car. For those who aren’t familiar with the story be prepared for some surprises. The thing that makes the DeLorean stand out as a car, for me at least, is the design styling. The car was initially styled by Italian designer Giorgetto Giugiaro, who had already designed a car that was even more futuristic and more gorgeous than the DeLorean. The car I’m talking about was his Maserati Boomerang of 1972. You’ll find the Revivaler post on the Maserati Boomerang if you click here. The Maserati Boomerang of 1972. Giorgetto Giugiaro’s masterpiece. (Picture courtesy Bonhams). Though the Maserati Boomerang did not become a production car it did become the inspiration for the DeLorean, and for the Lotus Esprit, both of which were also designed by Giorgetto Giugiaro. Neither the DeLorean nor the Lotus Esprit have quite the same jaw dropping level of extraordinary beauty that the Maserati Boomerang exudes, but they are utterly gorgeous and desirable pieces of automotive design. Not a Maserati Boomerang, but a beautiful car nonetheless. 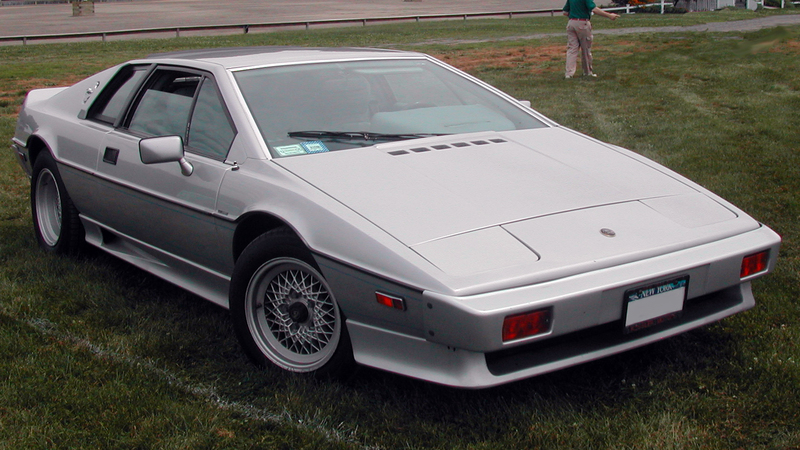 The Lotus Esprit. (Picture courtesy Wikipedia). 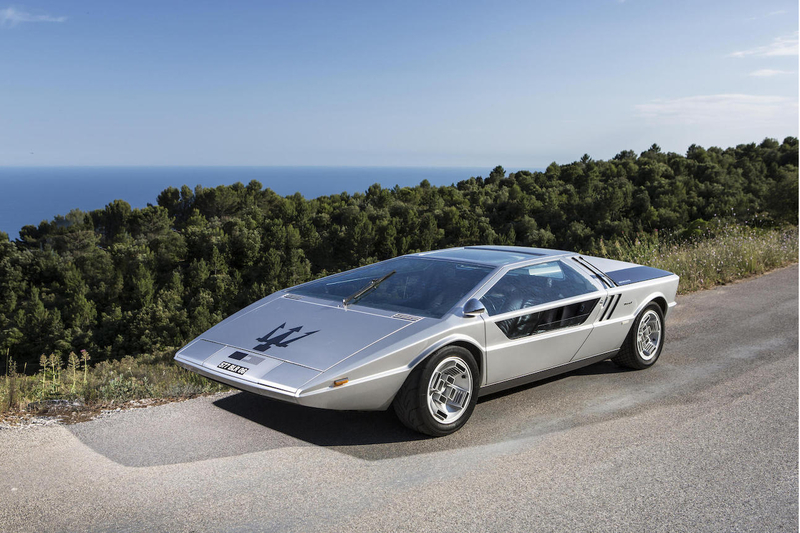 The only Maserati Boomerang in existence sold at auction on 5th September 2015 for €3,335,000.00, which is a bit out of reach for my humble credit card and might just be for yours also. But a DeLorean can be had for less than one percent of that kind of money. Later in this post you will find a link to a Hemmings sale page where there are DeLoreans in the US$25k range on up. The DeLorean began life as an idea, not of Giorgetto Giugiaro’s, but of John DeLorean, a General Motors executive and engineer. 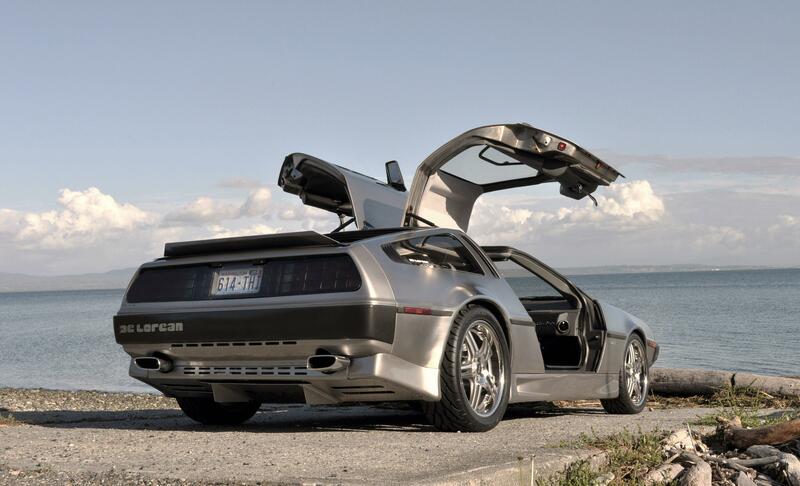 He wanted to move on from General Motors Corporation (GMC) and create DeLorean Motors Corporation (DMC). He had a vision to create and market a two seater sports car that would be something every car enthusiast and most everybody else, would want. In that sense he succeeded. 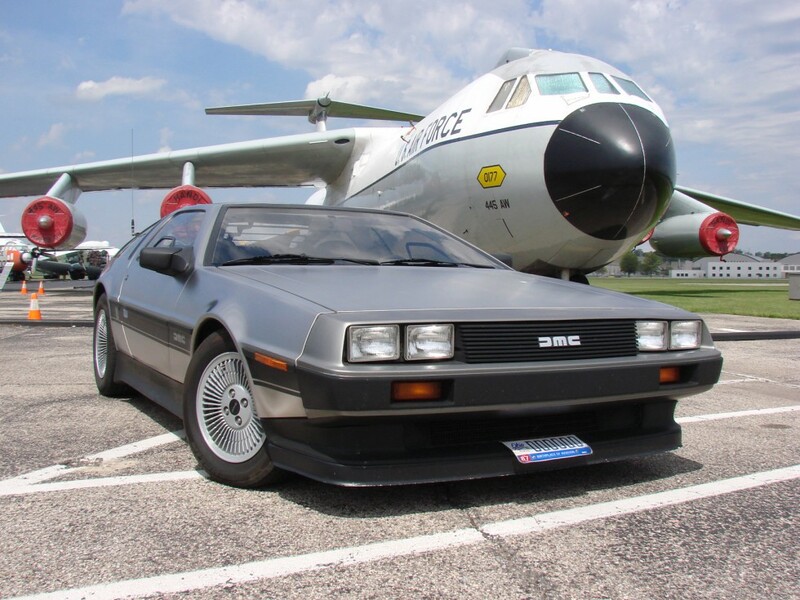 John DeLorean already had connections in a dealer network that spanned the United States, he had the basics that were needed to turn his vision into a reality, and he set about making it happen. Through a process that is examined in the video below John DeLorean set about achieving his ambition. He understood he would need to go overseas to get the funding, and to get the workers at the right sort of wages to create his cars at affordable prices. Nowadays he might have just gone to China, but China in the 1980’s was not yet a place where you could set up a viable motor car manufacturing enterprise. It was still very much Mao suits, Mao’s little red books, and bicycles. Of the various locations that may have proved do-able John DeLorean settled on establishing a factory in Belfast, Northern Ireland. At that time the terrorists in the world were not predominantly Islamic, they were Irish, at least from the British perspective, and Belfast was a real centre of trouble. So it was a bold move to establish a factory to make luxury sports cars in an area where unemployment was running at over thirty percent and sectarian violence was seething. I like to think that John DeLorean and the government who provided him with some funding really intended and hoped that the DeLorean Motor Company would provide both employment and new hope in an area of hopelessness and oppression. I think he almost succeeded in that, at least for a while. The video below was made by Britain’s BBC. It is a documentary that needs to be viewed with a critical eye. I think it is good to consider how things would have looked from John DeLorean’s perspective and to consider just what he achieved, and how the people who became employed and skilled gained some benefits, despite the ultimate failure of the company. It is said that “wisdom with the benefit of hindsight is the worst wisdom to have”. And in following a dream, especially when a lot of people are depending on you, mistakes can be made. 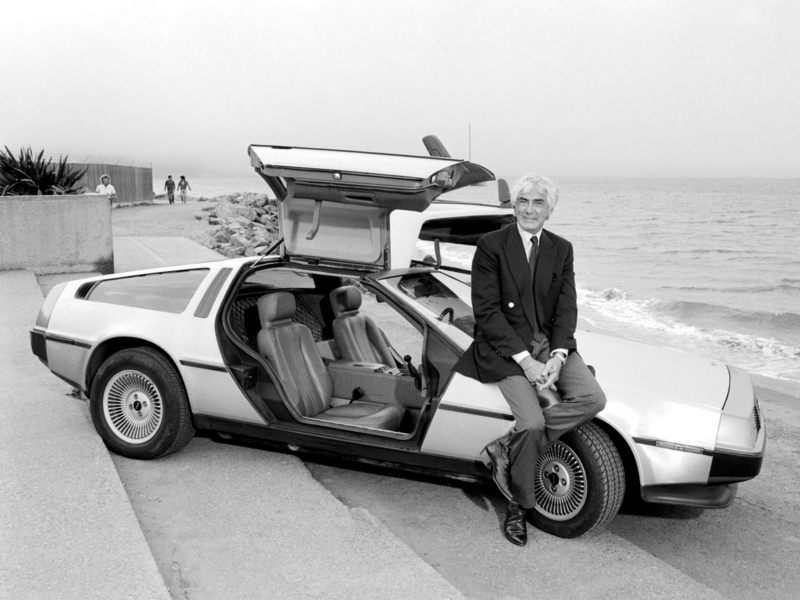 It is just over ten years since John DeLorean passed away. The car he gave the world became an icon of the twentieth century, and the effect of creating his car factory in an area of deep troubles, of high unemployment, and the transformation of that community shines as a beacon of hope, that sadly burned out too quickly. Would you like to own a DeLorean? Most of us will answer a resounding yes straight away. DeLoreans can be had for some surprisingly affordable sums of money. So if you are someone looking for a project car that will really be worth the heart and soul you are going to invest in it then this is an achievable bucket list item you could almost certainly tick off. You will find some examples for sale at time of writing on the Hemmings web site if you click here. At the time this post was published there were DeLoreans for sale ranging in price from USD$23,000.00 on up through the USD$30k bracket to USD$55,900.00. So if this is your dream car then that dream could be in reach. And if you do succeed in obtaining and restoring one then you will have a car that is at once a thing of beauty, and a thing that speaks of a tragedy. A story that reflects something the Doc says to Marty in the movie – that your life is what you make it – though, as the Doc does not mention, we need to remember that we are fallible human beings, and sometimes we can get things horribly wrong, but that should not stop us from pouring our heart into that for which we have a burning passion, and when we get things wrong, to forgive ourselves, and to forgive others their mistakes also. More than thirty years old, and still capturing imaginations. (Picture courtesy carphotos.cardomain.com). (Feature image at the head of this post courtesy ohiodeloreans.com).